The new and improved Rollin' Screen Racker immediately creates more space and enhanced storage capabilities with the ease of mobility and customizable widths using its exclusive "Clamp and Bar" width adjuster. This exclusive design accommodates many screen frame sizes, freeing up your shop floor. We have redesigned and consolidated the Rollin' Screen Racker in two sizes from 15" to 46" wide featuring four new locking casters. The smaller of the two units is 31" deep and has 20 shelves and the larger is 40" deep for larger frames and has 25 shelves. Shelves on both units hold up to 2 1/2" thick parts and come with all of the necessary hardware to assemble the unit. The Screen Racker's deep shelves enable screen shelf labeling by job and color for better organization. The shelves support any screen length by connecting the Rackers together, front-to-back. 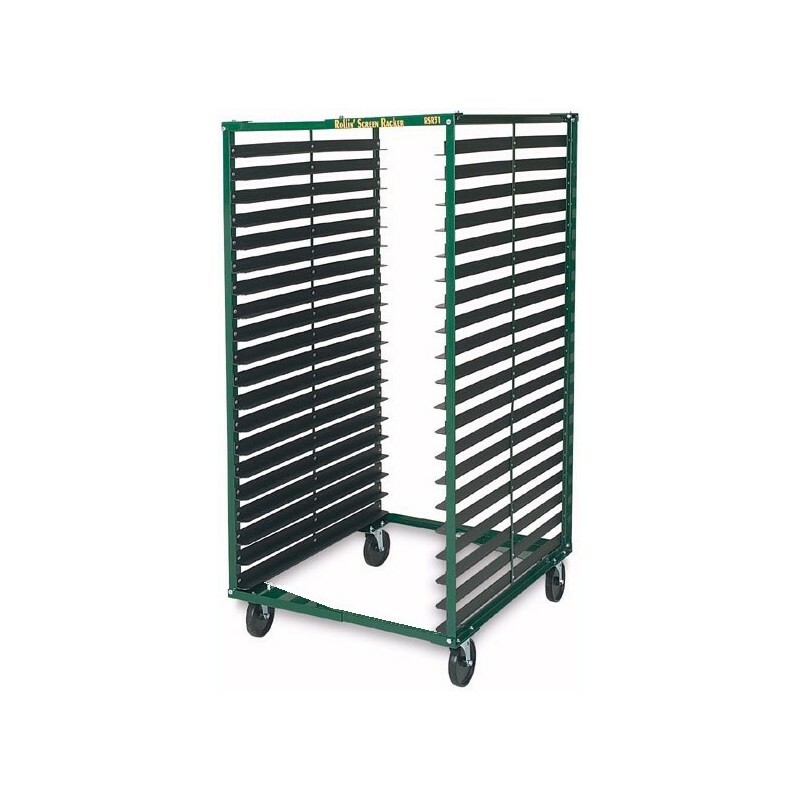 The Screen Racker's durable PVC angles (shelves) are capable of supporting heavy loads and because of their material makeup all chances for scratching have been eliminated. 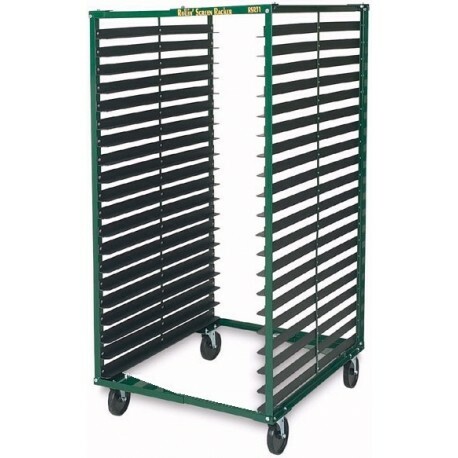 This must-have organizational tool not only provides a safe and sturdy resting place to dry or store your screens - or rigid substrates - but also enables users to easily move multiple screens at once to your press for set up or your storage area, where they will now be easily found for re-use. With the ability to better organize and label your screens increased productivity and greater profits are soon to follow!